If you love to press the flesh and want to be paid for the pleasure, then you just might have a future in Chinese subway passenger management. 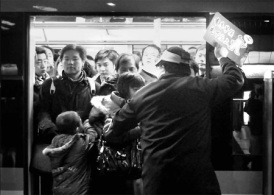 Recent sightings of uniformed, white-gloved “people pushers” patrolling subway stations in Shanghai and Chongqing have caused onlookers to wonder if they haven't overslept and ended up in Japan! Imitation isn't the issue, it's just that effective crowd control demands “hands on” measures. The problem in both China and Japan is that for safety reasons, subways cannot begin to accelerate if any of their doors are open – even slightly. 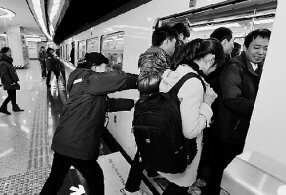 All well and good, but the Shanghai Metro Operation Center states that the cars on Subway Line 8 are 32 percent overloaded on average and 70 percent overloaded during peak morning and afternoon travel hours. 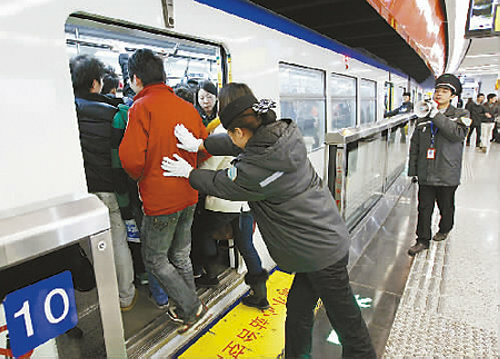 Coats, umbrellas, arms, legs and whatnot poking through train car doors have caused innumerable delays, and the situation is similar on the 6-year-old Chongqing Metro. “If one train stays at the station,” explained a subway company spokesperson, “other trains have to wait until the first train goes. Usually, the train stops for only 30 seconds at each station but now the time can be four minutes or even longer.” This just won't do, of course, and therefore drastic measures are being taken... directly from Japanese subway operators' playbook. 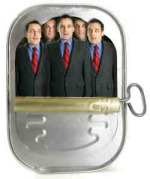 Typical training courses for prospective people pushers last about two weeks and include vocal training, as the pushers must announce their actions before laying hands on the, er, outstanding passengers. Clean, Green, and Mean! Lotus® Your Tap Water!